Let me just start out by saying how much I love my children! 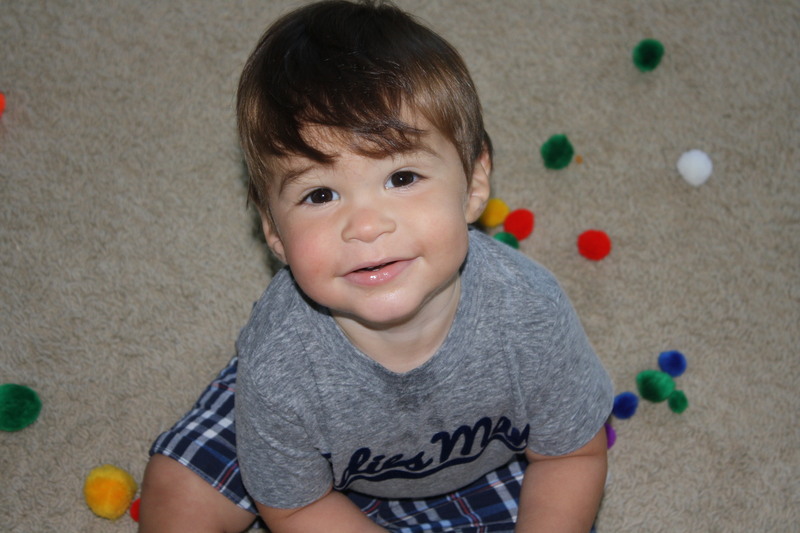 They are the sweetest, most loving boys ever…until they get sick or are teething!! Then I still, absolutely, without a doubt love them, I just really despise being around them. This past week I had a sick toddler and a cranky, teething, 13month old. Oh how I wish I could tell you that it was easy and I got through it all unscathed but that would be a big fat LIE! After dealing with teething with my first son, I was prepared this time around. 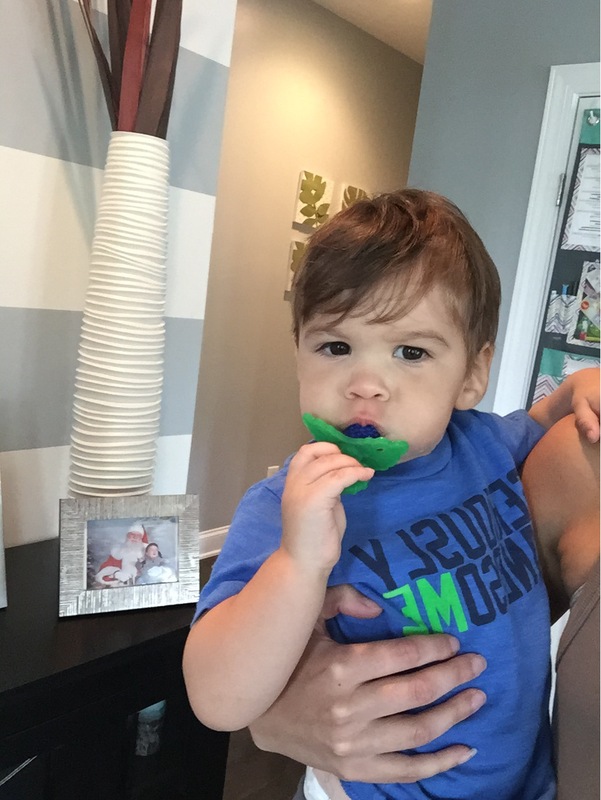 There are so many methods I have for helping my little one deal with the excruciating pain that comes along with teething. Now, my oldest was pretty miserable to be around when he was teething but my youngest is now giving me a run for my money! These are a must! 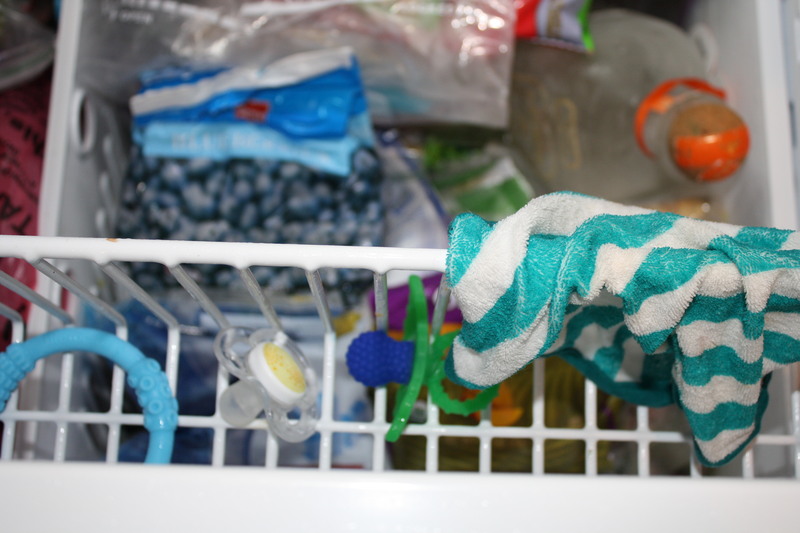 I take the washcloths, wet them, place them in the freezer and in a few minutes they are frozen and ready to go. These bad boys last for a while and will keep him distracted for at least 10min. Basically long enough for me to unload the dishwasher in peace and quiet. Unfortunately, I can not guarantee the same outcome for everyone, just telling my story :). 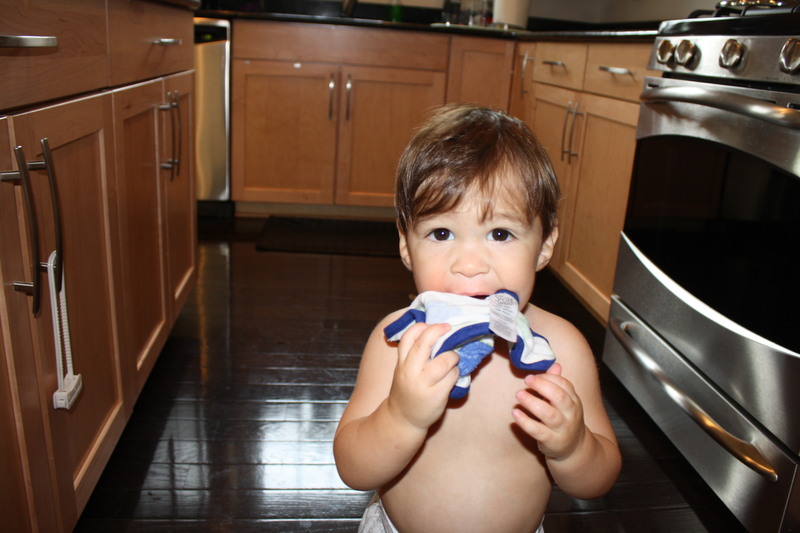 That is also why you need to have more than one product to deal with a cranky teether! These were not a hit for my oldest son when he was teething but my youngest LOVES these. You can’t tell from the picture but he does, just a little grumpy that’s all haha. With these, I just clean them, throw them in the freezer and after a little while they are ready to go. Both of my boys used these pacifiers so this works for me. One of my girlfriends told me about this a few months ago so I never actually did this with my oldest…wish I had! Some people have certain brands they stick with,Philips AVENT BPA Free Freeflow Pacifier, 6-18 Months, 2-Pack, Colors May Vary is mine. Also, when it comes to teething, these are amazing!! 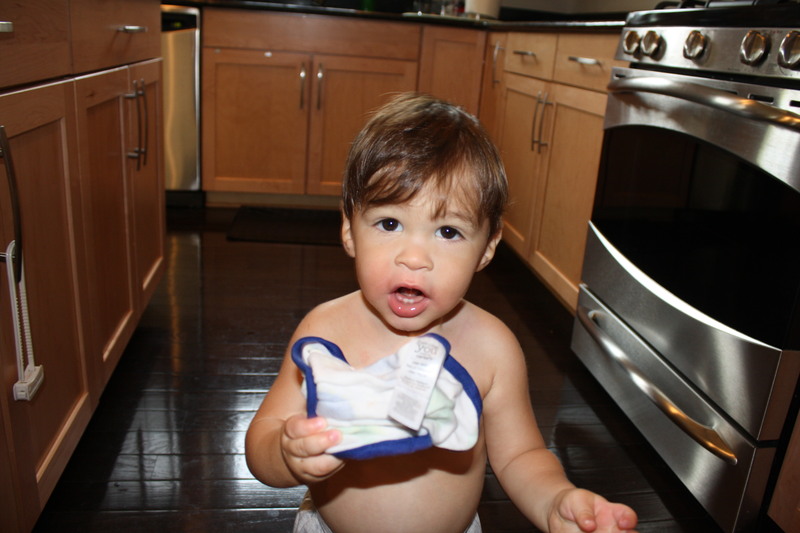 You can fill the inside of the pacifier with water, place them in the freezer and in 5-10min the water inside is frozen. These are good to have around because they are easy to clean and offer a different texture. Not all kids may like these, my oldest actually liked these more than my youngest son but they are good to have around as backup. You just have to clean, freeze and that’s it! I am a big fan of the Harris Teeter brand frozen fruit, mangos are my favorite. Anyways, I take them out of the freezer for a few min until they thaw out a bit and offer them as a snack. It helps to knock out snack time and offers relief to their painful little gums. As a last resort I use Acetaminophen. Okay, sometimes not as a last resort lol. Before you go this route, ask your pediatrician if it is okay! As miserable you may think your baby will be, it’s good to change the scenery and get out. Sometimes even just going for a walk will help distract your little one from the pain he/she is experiencing. It will also help you to get out, move around and relieve some of that anxiety that can come along with a cranky monkey. If a walk won’t do it, maybe it’s time to do a little retail therapy…always helps me ;)! Yes, in the top right of the picture above is tequila! It is my go to stress reliever after a really rough day. I rarely drink, just don’t have the energy the next morning to workout and take care of the kids. However, if you really need it, a drink of your choice (after the kids are asleep), is definitely a good thing to enjoy! You need to take care of you right?!?! Hope this helps you get through your day! Leave comments about other things you may use in your “arsenal”!